Newton's Nook Designs: Holiday Reveal - Day 1 - Winston's Home for Christmas! Holiday Reveal - Day 1 - Winston's Home for Christmas! What do you think of this set? Isn't Winton driving the car full of gifts just adorable?? Let's see what our Team did with Winston!! 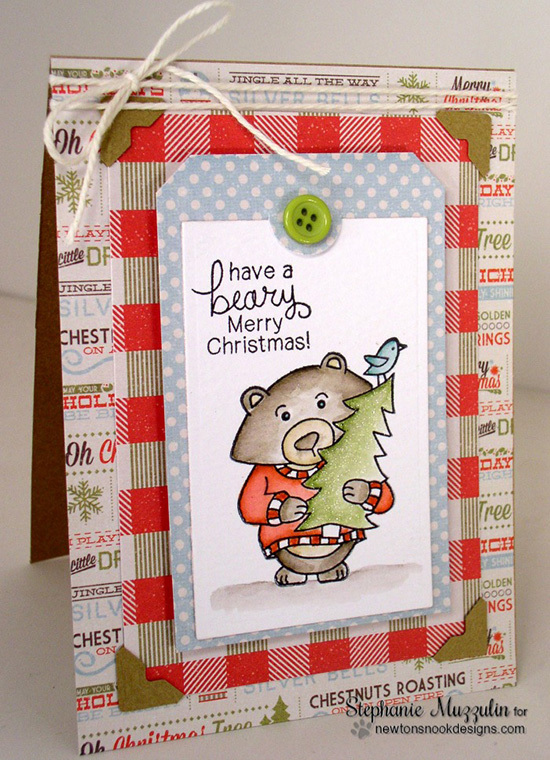 Stephanie created this adorable card - love the sparkly tree! Here is a fun card by our guest designer, Heather Hoffman - this proves you don't always have to color the image to have a fabulous card! Love the little gifts in the background too! 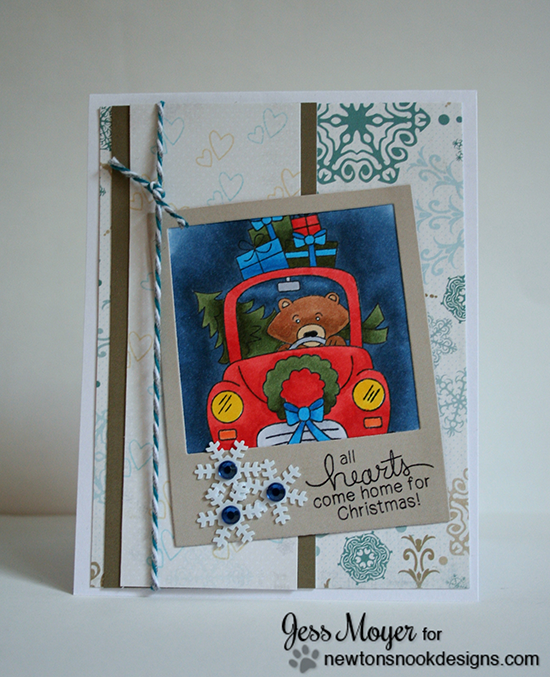 Here's a cute Winston card by Danielle - what a fun mix of holiday stripes! Here's some great coloring by Lydia - love the pretty snowy sky! Here's a little treat tote by Shellye - love the speckled effect!! 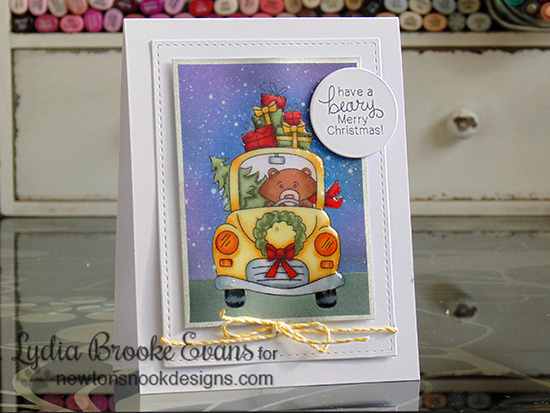 Here's a fun card by Jess - what a cute little polaroid of Winston driving down the road! Samantha created this cutie with Winston - look how that little birdie landed on the tree! Crafty Math-Chick created this cute little notebook - what a fun stocking stuffer this would make! 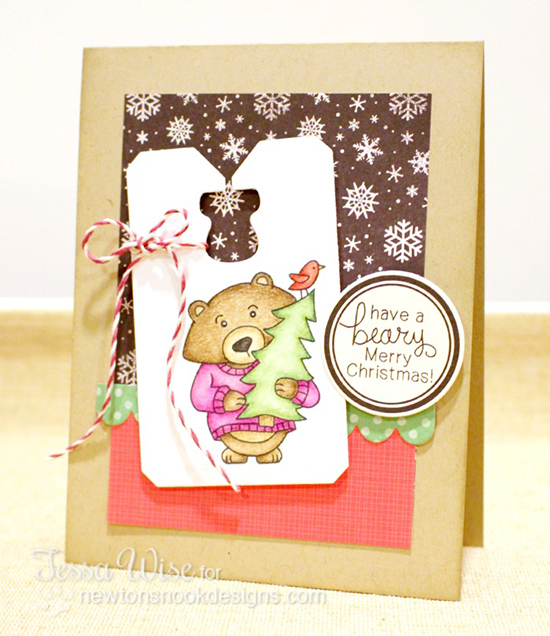 This adorable card with the bear in the pink sweater was created by Tessa! 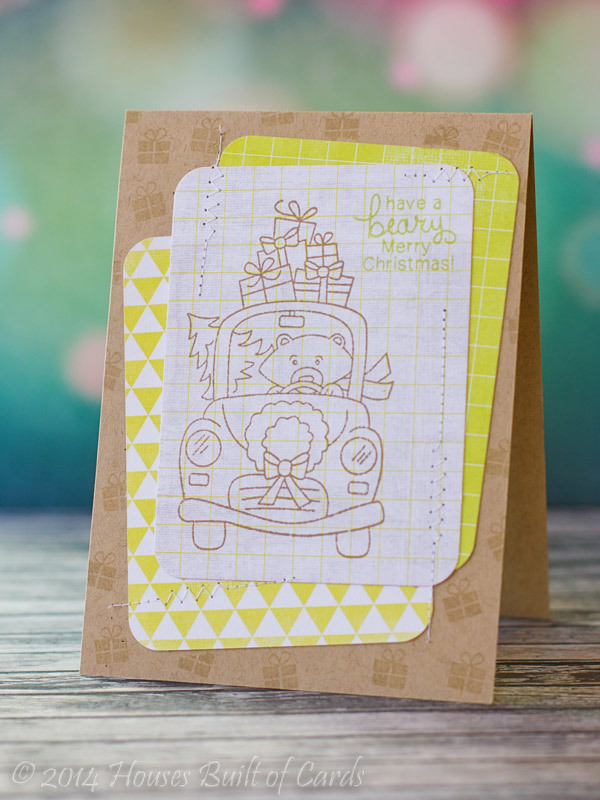 Taheerah created such a pretty card with Winston in the car - love the sepia effect this has! 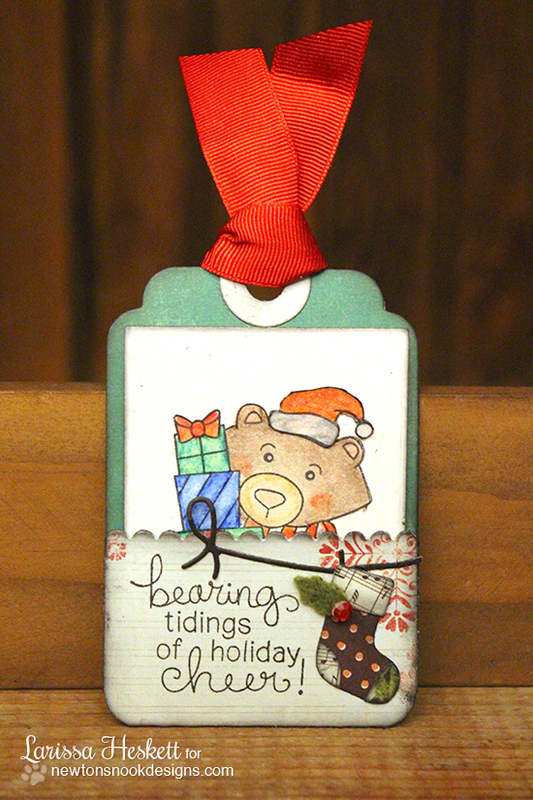 Larissa created a cute tag using the bear and gifts image! So adorable! 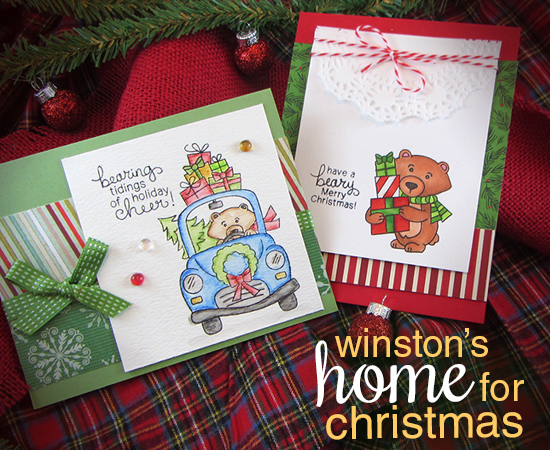 Would you like to win “Winston’s Home for Christmas”? This set will be given away to one lucky winner! YAAY!! Such beautiful creations Teamies! Jennifer, I really love your layouts and the pretty patterned papers you selected! Love this new release. Cards are awesome! I love Winston driving the pick-up truck with his Christmas Tree...adorable. So cute set! Love Winton driving the car and the Santa's hat to add on top! Well, you've done it again, Jen - another fabulous set of images, and the showcases are simply sensational! Cuteness and delight all around! Winston driving his car is so cute. The hop was great. The DT showcased Winston so well. I'm just getting started on the hop. It looks like lots of fun cards to see! I think this stamp set is adorable! I am already thinking of the many cards I will be making with this set!!! Way to go NND!!! So many cut cards and tags come to mind by using this stamp set. Way to go! OMG!! This set is so cute and I love all the wonderful projects you created with this adorable stamp set!! 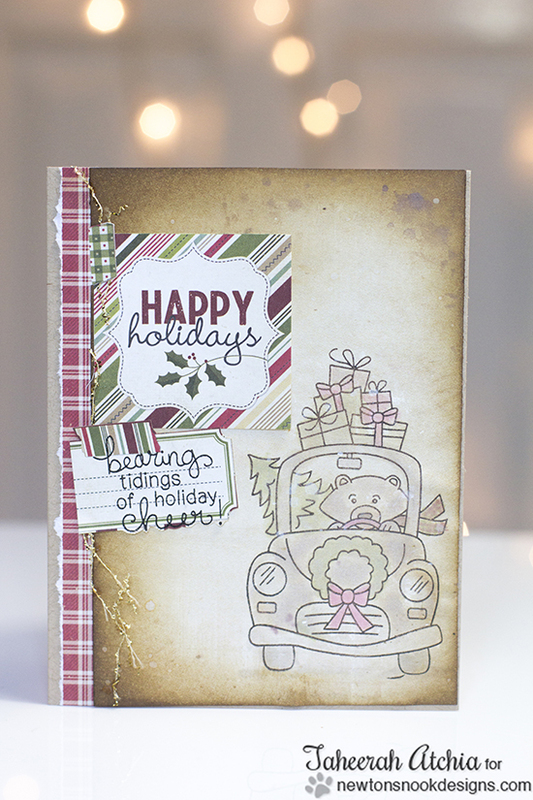 Cute Winston set and I enjoyed the creations on the blog hop. What a cute set! Love all the projects that were made with it! These images are absoultey darling, Jennifer! And Team, all the different projects (card, boxes, notebooks... oh my!) are so, so darling and pretty!!! Can't wait to start Hopping to see more details! Great blog hop! Your DT and GDT do an amazing job showcasing your stamps! Love the new Winston set! Looking forward to the other new releases - you know I'm a Newton fan! I have been enjoying the sneak peeks, and today has not disappointed! Adorable. I love Winston. OMG! Winston behind the wheel! I love it!!! The DT inspiration is, as always, spectacular!!! Can't wait to get my hands on this set! Love this new set featuring WInston!! So darned cute!! Beautiful projects and cards by the DT! The sets are too cute for words. All the cards are amazing! Wow, this set is absolutely adorable! Love all of the fun and cute details! What a cute bunch of images of winston's christmas! Oh my goodness, Winston in the car is just too cute! Love this set...simply adorable! darling set! I want to win it! THX for the chance! Super cute! 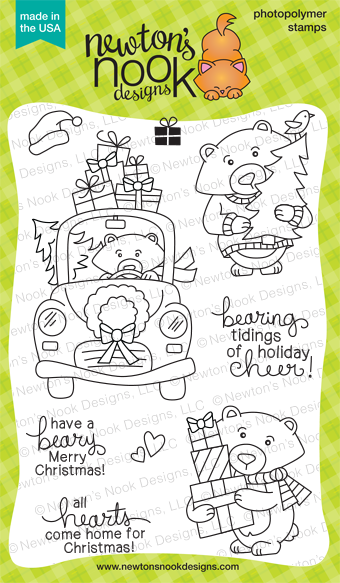 Love the bear in the car. The Design team did a fab job! I LOVE this Winston set. DT your projects are beary cute. Thanks for sharing. Awww... Winston is always so adorable. Just want to take him home! Sweet stamp set! Love the loaded down car! Fun sentiments!! Love the bear in the car. It cracks me up. Winston at Christmas who could ask for more.